Dr. Mabie is able to care for a wide range of your visual needs from complicated contact lens fittings to eye health issues such as Diabetes, Macular Degeneration and Cataracts as well as the regular prescriptions for eyeglasses. Schedule an appointment with Dr. Mabie with our online scheduling service. 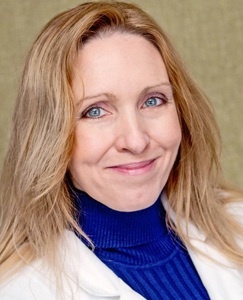 Dr. Mabie is a graduate of Illinois College of Optometry and has been in practice for over 16 years. She has worked in private retail settings as an independent contractor, as well as with our military and multiple volunteer programs such as Special Olympics Opening Eyes and Target National Night Out. Contact EyeStyles Optical for an appointment or more information on eye health services. She is licensed with the Minnesota Board of Optometry and takes most insurance plans. Use this link to download a referral form and send it with a friend or associate on their visit to EyeStyles Optical. 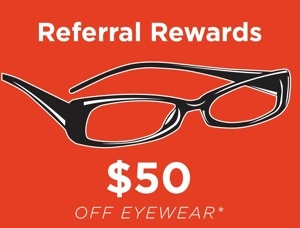 Referral rewards are issued as an Eye-O-You credit which gives a participating client $50 credit toward eyeglasses for referring a new client to EyeStyles Optical and the referral results in a purchase of new eyeglasses. Credit vouchers will be mailed by EyeStyles Optical, and people may collect as many $50 rewards as they like in a 24 month period.